This is where we shine – taking your vision, your goals and desires, and making it real with the finest in custom coach interiors and products built just for you. Truline RV understands how RVs are put together and knows how to make modifications – from the simplest, to the most complicated. Our wood-working is based both on old-school craftsmanship while meeting the requirements of a moving vehicle. And our understanding of technology allows us to integrate your HDTV and other electronics seamlessly so you can enjoy life on the road. 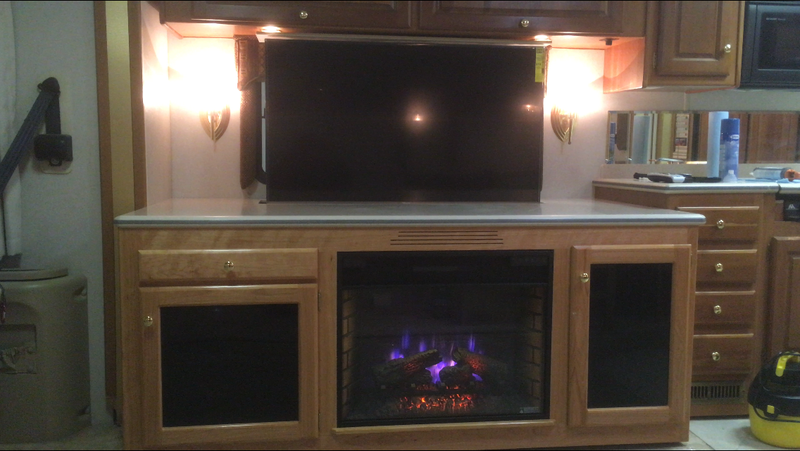 So whether you are looking to update your interior, replace a dinette with a office / desk combo, or change out an old TV with a new flat-screen HDTV, Truline RV has you covered. CLICK HERE to see some examples of our Custom Work. 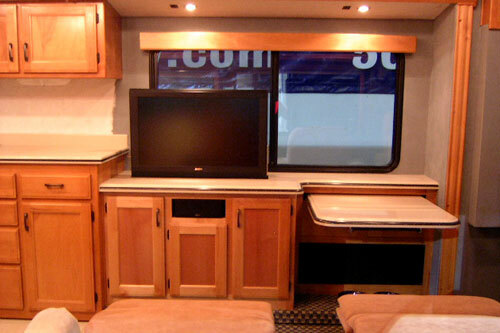 If you are looking into remodeling your RV to be more of a custom fit to your wants and needs, we recommend calling now to get booked for the upcoming Winter as these custom remodel jobs take longer to complete and multiple technicians for all items on your list to remodel. 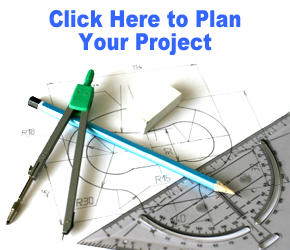 Keep in mind, remodels very often require parts to be ordered which can take weeks to arrive. It is best to start planning ahead now so you can be back on the road as soon as possible! For customers wanting new flooring, we buy everything through Great Floors. The location of the Great Floors closest to us is 13708 E Indiana Ave, Spokane Valley, WA 99216. The salesperson we work with there is Mike and he puts in all of our orders and takes awesome care of us and our customers. There are so many options for style and color in flooring. The latest trend we have been doing in RV’s includes removing all current flooring and replacing it with vinyl planks. Mannington Adura Traditional vinyl planks are incredibly durable and look amazing in all RV’s we have installed. It really gives the entire RV a new look and feel. Along with the Adura, customers usually want new carpet in the bedroom and we also install carpet on all slideouts and the engine cover in the bedroom. There are so many color options for both the Adura and carpet, but do keep in mind the store dooes not always carry everything in stock. Adura usually takes around 2-3 weeks to arrive, Carpet varies because they have a wall of carpet options in stock. Carpet not in stock can take a couple weeks. Email MacKenzie at mackenzie@trulinerv.com for more details or help picking out products! For customers looking at Corian solid surfaces, we install this product on everything from counter tops to custom-built desks. We have installed Corian on multiple RV’s now and it always comes out looking good! Our front desk counter is all from Corian and we LOVE it! Corian can get spendy, but luckily they have many levels of pricing for their colors. If you have any questions on pricing and colors, please email MacKenzie at mackenzie@trulinerv.com. I have our display samples here, all labeled with their level number and a pricing sheet for you to view. For more information and quoting on TV’s, Please email Chad at trulinerv.com or Matt at matt@trulinerv.com. For customers looking into new wall color or replacing wall paper with something new and fresh, we can accommodate you as well! We order all wallpaper through Wallflowers in Spokane, WA. There is not currently a store that keeps a large enough inventory of wallpaper so it is all to order. Wallpaper takes roughly 7-10 business days to arrive. Wallflowers has an incredibly large selection, walls of wallpaper books. If you have questions or want more information on wallpaper or wall color, please email MacKenzie at mackenzie@trulinerv.com. For customers who have very custom wants or an extensive list they want to accomplish, give us a call at 509-892-7333, or email Chad at chad@trulinerv.com.